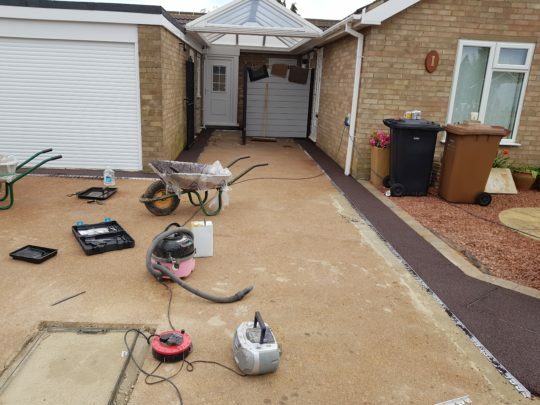 Our customers had a Resin driveway that had been installed by an incompetent installer. The whole install needed lifting and starting again from scratch. The resin was troweled totally at the wrong depth meaning there was less than 5mm of aggregate in places which had caused the install to break away. 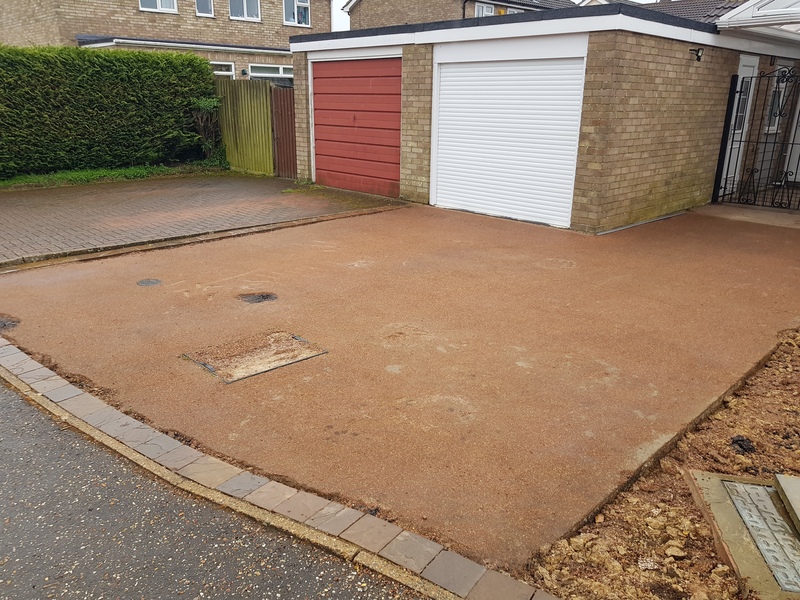 Rather than install the exact same drive, the customer decided to change the design altogether and split the install into two colours. 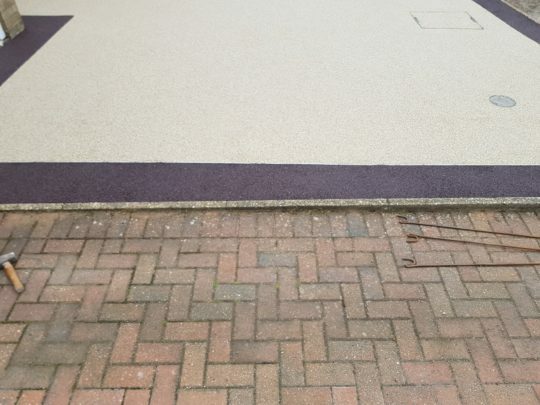 The old resin was lifted and metal edging strips were installed to split the colours. 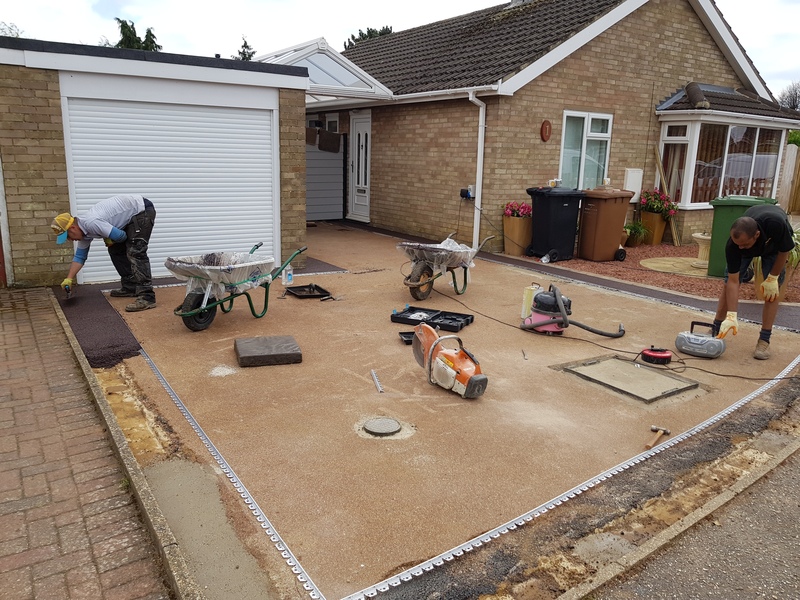 Manholes were lifted and reset to the correct heights so a depth of 18mm could be obtained for the install. 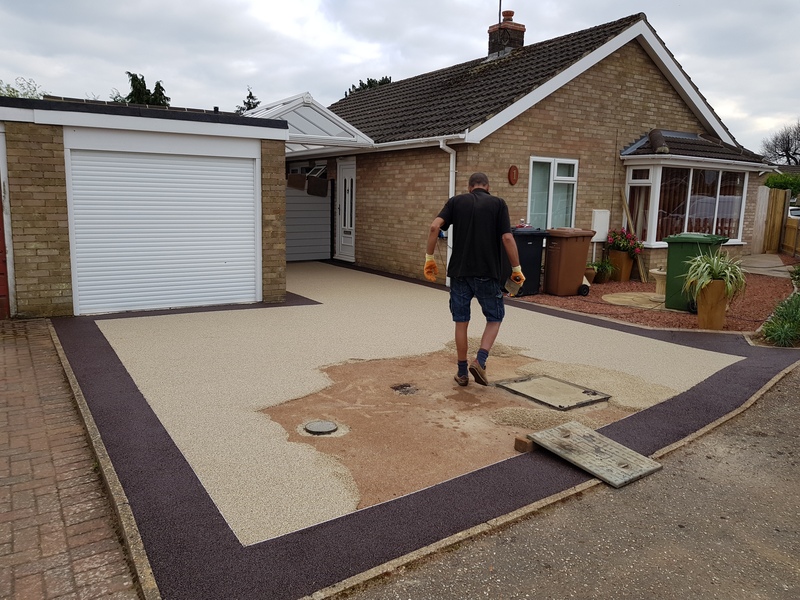 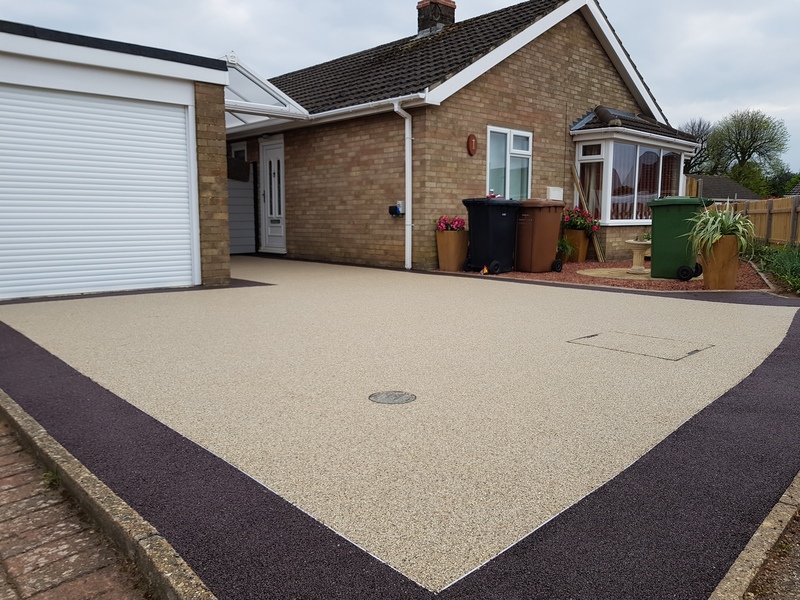 Once all the groundwork was set, the border was troweled in Celtic Plumb aggregate 1-3mm and the centre of the drive in Pearl Quartz 1-3mm all bound in the latest UVR Resin.